Arc flash testing according to IEC/TR 61641:2014 has been completed for E+I Engineering’s full iMPB range. The busbar is fully compliant in terms of personnel and assembly protection. Find out what safety features E+I Engineering have introduced to ensure users and installers are protected at all times. An arc flash is a discharge of electrical energy that is demonstrated by an explosion generating light, noise, shockwaves and heat. An arc flash occurs when an electrical current leaves its intended path and travels through the air from one conductor to another. The results are often catastrophic; if a human is in close proximity to an arc flash it can cause serious injury or even death. In a data center environment that has high energy use requirements, a multitude of electrical systems and frequent equipment maintenance, arc flashes are a major risk that must be addressed to both protect personnel and balance production demands. In addition to the risk to human life, an arc flash will derail data center operations and cause serious damage to equipment. This will lead to downtime in the data center and an unquantifiable loss to a company’s reputation. 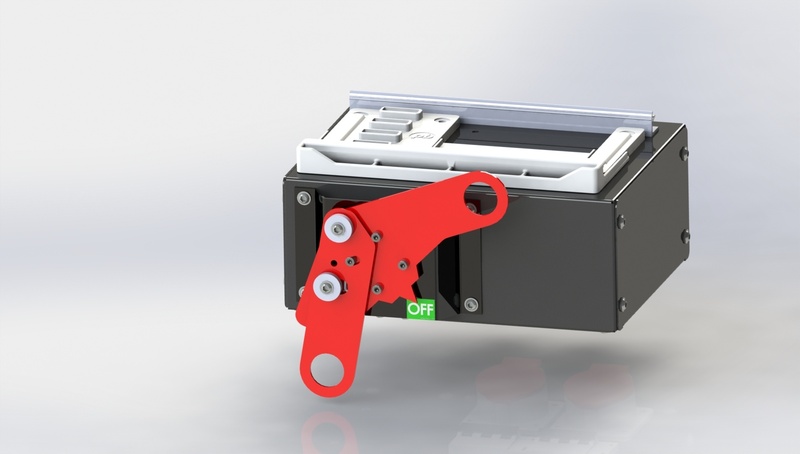 E+I Engineering’s iMPB open-channel busbar solution has been manufactured with the safety of the installer and user as the number one priority. iMPB is the safest and most flexible open-channel busbar system on the market due to a range of in-built features that greatly reduce the likelihood of an arc flash incident. These features are designed to protect the user and the equipment, therefore also protecting data center operations in a world that demands 24/7 uptime. In a traditional data center set up using PDU’s to distribute power around the white space, installers and users are much more at risk of an arc flash. In order to replace a circuit breaker, an electrician is forced to work live with exposed power conductors. There is a high risk that a qualified worker may accidentally touch a live circuit or drop a screwdriver which would cause an arc flash incident. Open-channel busway eliminates the need for an exposed power panel and therefore workers are never exposed to live parts. iMPB tap off boxes are fitted to the busbar using E+I Engineering’s unique ‘earth first, break last’ safety feature. This ensures the safety of the user and the installer and allows the tap off boxes to be fitted while the busbar is live. Tap off boxes interlock on the busbar with a ground strip. The ground is the first point of contact with the busbar system during installation. The mechanical interlock secures the tap off box to the busbar using high tensile strength lockable hardware which cannot be fitted incorrectly. Once fitted to the bar, the engager handle can be turned. This lifts the contacts into the busbar and has a positive lock once fully rotated. Tap off box handles can be locked out to provide a further level of security. 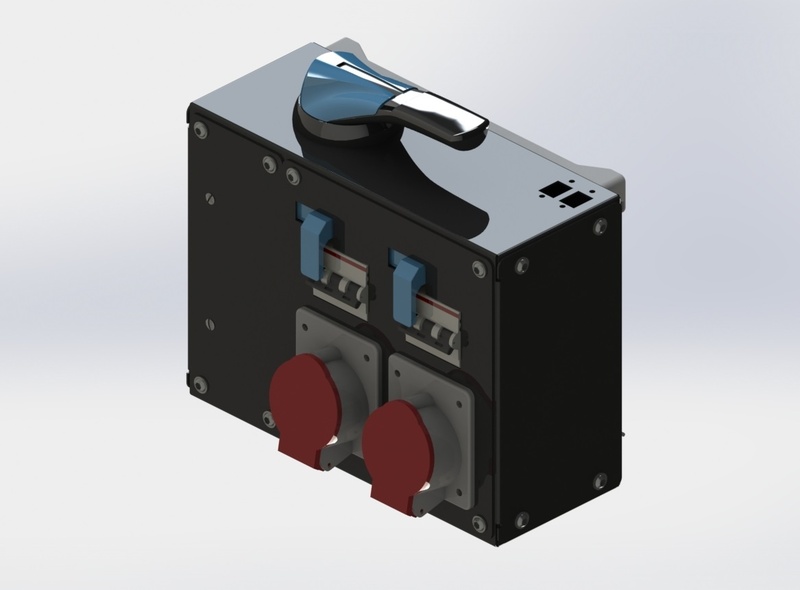 The mechanical connection to the busbar prior to any electrical connection ensure that there is no risk of an arc flash incident when installing iMPB tap off boxes to the busbar. E+I Engineering’s MCB Safety Interlock works by prevents the tap off box being fitted to the bar while the MCB is in the ‘On’ position. Similarly the tap off box can only be removed from the busbar when the MCB is in the ‘Off’ position. The MCB can only be switched on when the contacts are fully engaged with the busbar. This provides users with an extra layer of security when fitting/removing tap off boxes from the busbar. iMPB can be installed vertically or horizontally depending on project requirements. It can be fitted above the rack or in the raised floor. Typically, iMPB is ceiling mounted above the rack. This ensures that operators can safely approach the busway area without fear of arc flash. 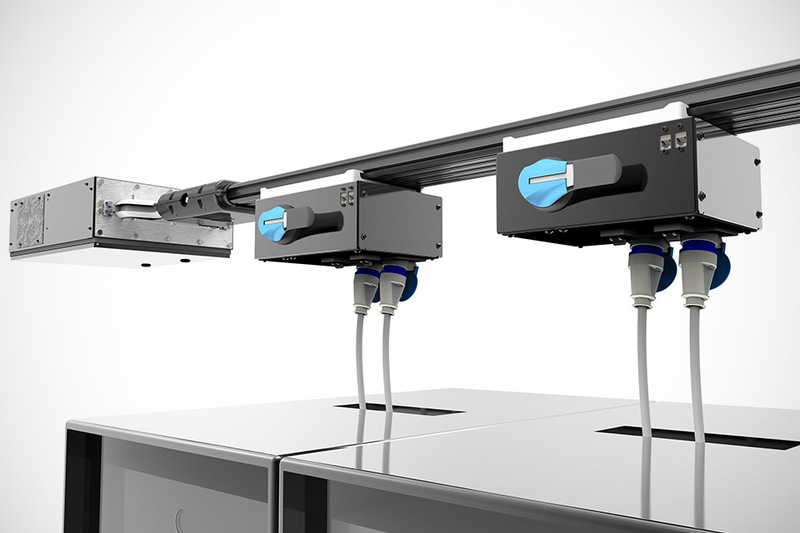 E+I Engineering have also introduced a hook operated tap-off box. This box can be switched on and off from the floor using a simple mechanism. This adds a further level of protection as users have no direct contact with the tap-off box while it is energised. iMPB has an Ingress Protection rating of IP2X. It is completely finger safe and there is no access to the conductors along the length of the busbar. The copper conductors are fully isolated from the housing using a certified thermoplastic material. iMPB has a further level of safety in a closure strip that is fitted over the area of the busbar that is not used by a tap off. This will give a further level of protection of IP3X. This significantly reduces the arc flash risk and therefore improves the safety of the user. In a mission critical environment, which is constantly demanding higher levels of power, the dangers of arc flashes can never be completely eliminated but they can be controlled. This is done by understanding where the potential hazards are and taking steps to mitigate them. In the open channel iMPB busbar product, E+I Engineering have implemented a range of safety features to protect the installer and the user and minimise the risk of an arc-flash incident.